I’ve been to Japan four times in the last six months and racked up more frequent flyer miles than I know what to do with. I’d love to say it was for vacation, but I have to travel there often for work (my day job– I wish it was for something cooking related). 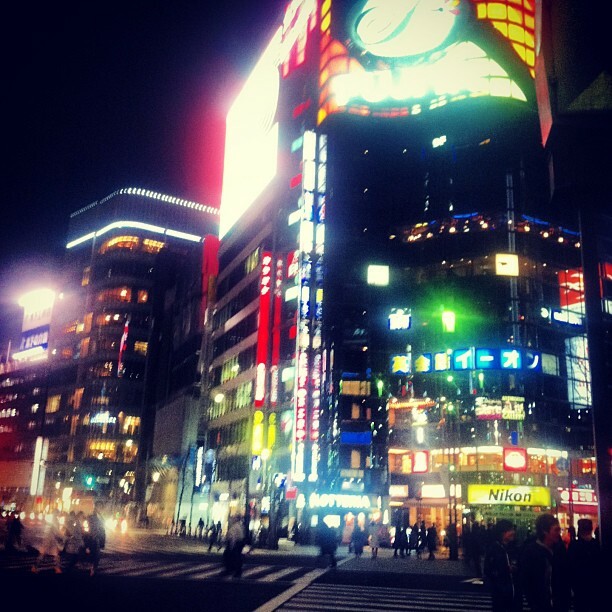 If you have never been to Japan I suggest you go immediately. I’ve traveled quite frequently in the past few years, both domestically and internationally, and I can say that Tokyo is without a doubt one of the most incredible cities I’ve ever been to. It’s one of those places that can really change your entire perspective of the world. The people are so driven and career oriented, the city so fast paced, yet the Japanese culture of being kind, respectful and trustworthy is not forgotten. People will go out of their way to help you and make you feel welcome, and you never have to worry about your personal safety as a tourist . In Tokyo, you can ride the metro at 3 pm on any given weekday and see dozens of 5-year-old children riding the train home– by themselves! This post would be incomplete if I didn’t mention the cuisine in Japan. It’s incredible. 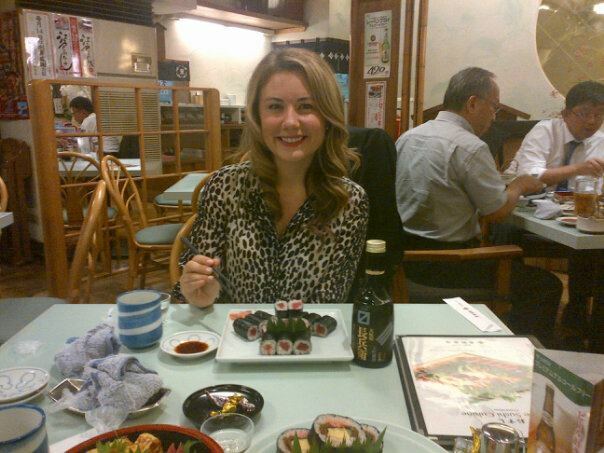 My favorite sushi joint, Sushi Zanmai, is open 24 hours and serves the most amazing, yet simple, sushi ever. Most of it arrives every morning from Tsukiji Fish Market in Tokyo, the largest seafood market in the world. 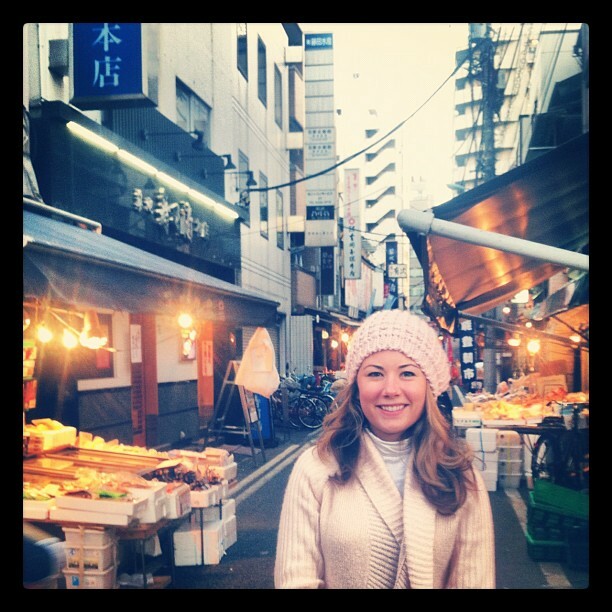 Below is a photo of me exploring the market at 6 in the morning, right before I had tuna sashimi for breakfast at Zanmai. Some of the traditional dishes in Japan are quite…interesting. Each time I go I try expanding my horizons a little, but to be honest there are just some things I will never eat. Things like horse meat, grasshoppers and fermented soy beans. No thank you! It’s funny when I go to Japanese restaurants in America now. Those Teppanyaki places are a total rip off! There is no such thing as white sauce in Japan. There is no fried rice either. With that said I did have an amazing ginger salad the last time I went to Tokyo. It was a little different than the standard kind you get in the states. They added avocado, used butter lettuce and the salad tasted much fresher than normal. Below is my take on ginger salad! In a food processor, blend, carrot, shallot, ginger. Add white miso and sesame oil. While the machine is running, slowly add canola oil and water. Blend until it reaches desired consistency. Toss with bibb lettuce, onion and avocado. Sprinkle with sesame seeds. Serve immediately.